I don't care how extraordinary you think your troupe's moves are. Claiming in your press material that your act is the equivalent of a "rock and roll-circus-ninja-dance-comedy-action-movie," as the braggadocious boys in Nanda do, is just begging to be called out. But check out an easily YouTube-able Nanda clip online and you'll see that that tongue-in-cheek sentiment, along with Matrix-esque moves and self-deprecating humor, are all just part of their wink-and-a-smile schtick. That's not to say they can't juggle and flip out with the best of them. Winning praise from critics and contemporaries such as The Flying Karamozov Brothers is no small feat. But if a "new school" of juggler acrobatics exists, Nanda could qualify for class clowns. See for yourself if they live up to their bold self-hype when Nanda bring their latest show The Jacket to HSU's Van Duzer Theater on Saturday, May 14, at 8 p.m. If you need plot in an acrobatics performance, note that this particular show revolves around a magical, omnipotent jacket that imbues the wearer with superhuman abilities. Presumably, it borrows something from the Jackie Chan movie with a similar premise, The Tuxedo. But don't get too hung up on any of that. 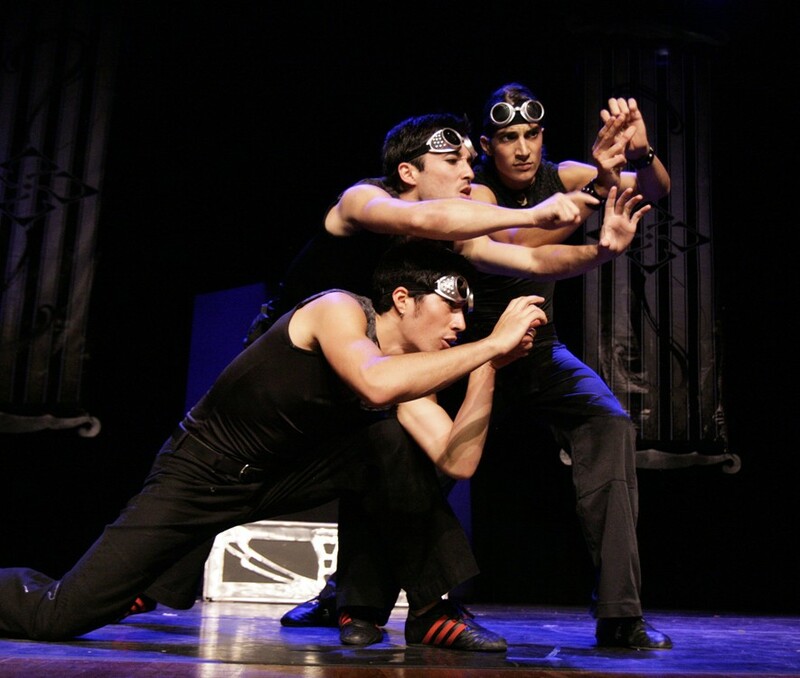 Just pay your $15 ($12 for students) and enjoy some dizzying and inventive acrobatics, juggling, martial arts, music and comedy. In case you're worried that the dreary Humboldt weather might inhibit Nanda from bringing their A-game, fear not. Honing their chops around the Pacific Northwest -- mainly Seattle -- the boys have had to flip without the benefit of sunshine for most of their careers. Though they're all still in their 20s, the boys have managed to pack in tours of the U.S., Canada and Mexico and have collaborated with musical recording artists Matisyahu, Sly & Robbie and Balkan Beat Box, to name a few. So, there. Saturday's performance is coordinated by Apprentice Entertainment, a teen program of the Arcata Playhouse funded by the California Art Council Creating Public Value program and the Mia Bo Fund of the Humboldt Area Foundation that's all about teaching youth the nuts and bolts of concert production and other arts activities. For more info on Nanda and for some of those aforementioned clips, flip on over to www.thejacketshow.com.